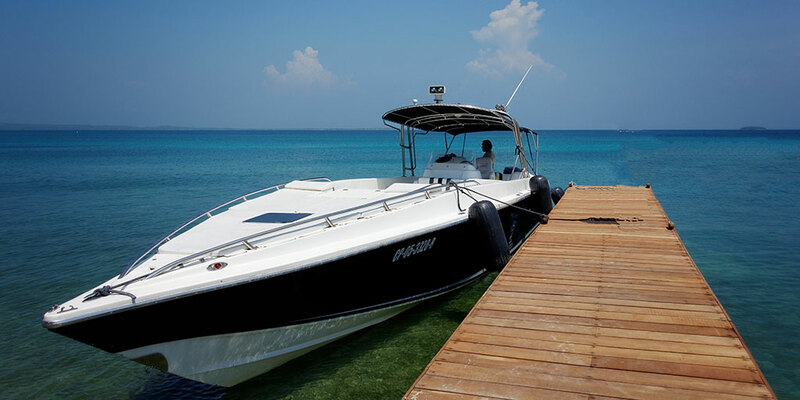 There’s no better way to truly experience Caribbean life than by the sea than with a boat rental. 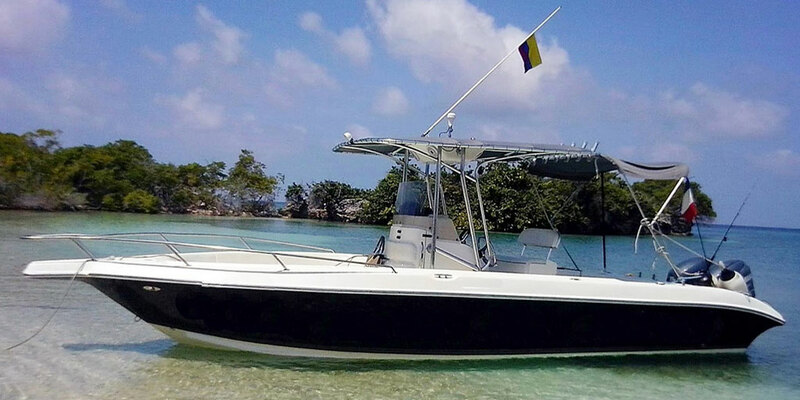 Our private boats for hire offer you the freedom to explore Cartagena Colombia beaches and the surrounding islands the way you want: luxuriate in the sun sailing around the Rosario Islands, snorkel through coral reefs and crystal blue waters, scuba in natural wildlife habitats, or simply get to your private island villa quickly. 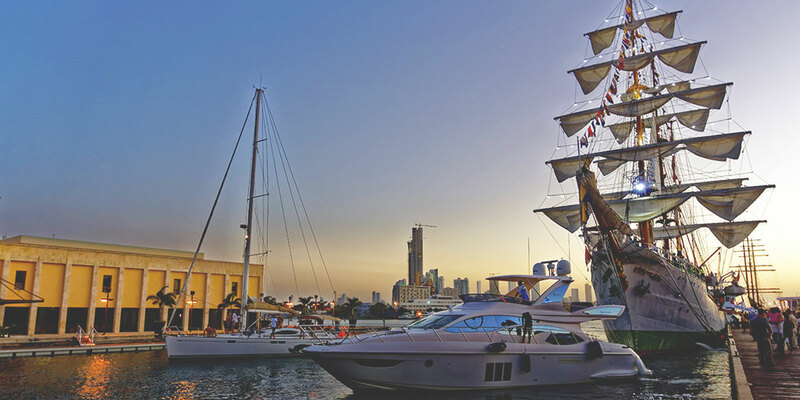 We only use trustworthy captains with crews who are there to serve your every need for a truly effortless experience. 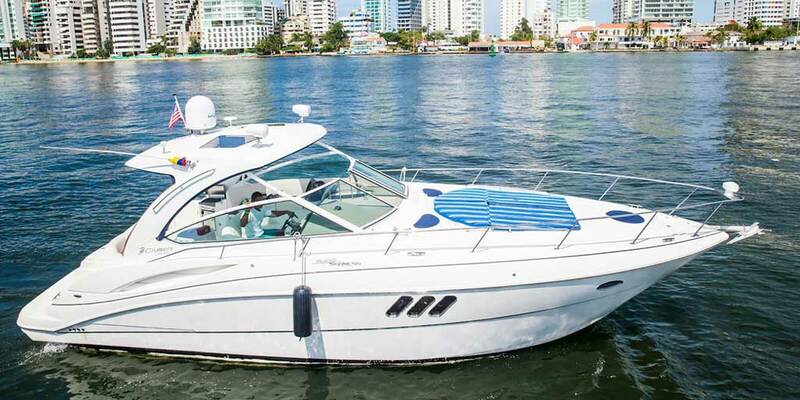 You can reserve a watercraft big enough for friends and family or intimate enough for you and someone special. Hire that craft for as long as you need it: half a day, the whole day, a week—it’s up to you. Price is dependent on a number of factors. 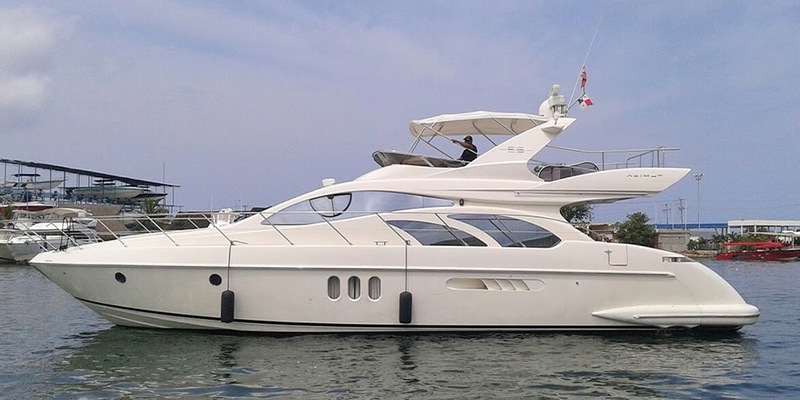 Which Boat/Yacht are you interested in? 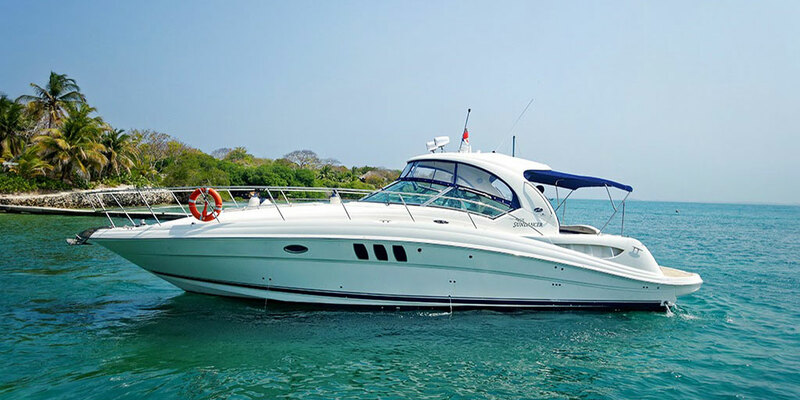 Travel to the islands surrounding Cartagena in complete luxury . . . and you set the pace. 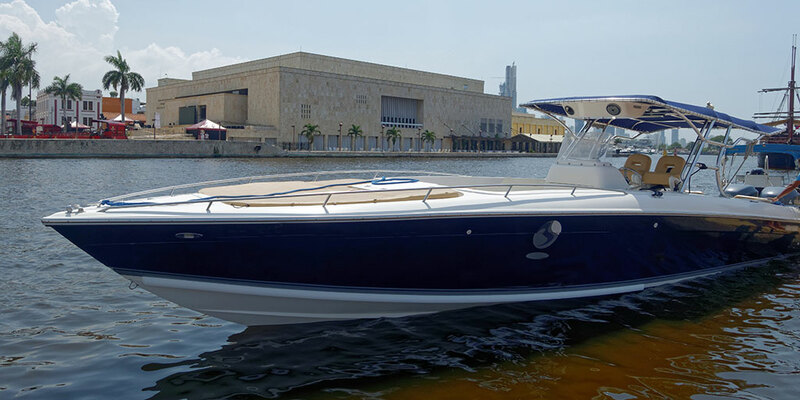 Reach your destination as quickly as possible or plot a leisurely course and enjoy a few cocktails as you glide over the crystal Caribbean and soak up the sunshine. 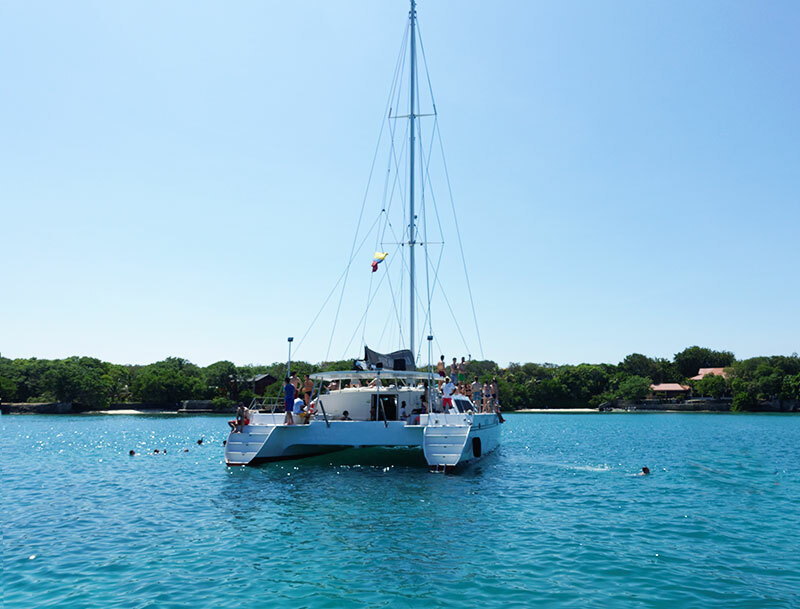 This option is perfect for day trips to Playa Blanca Cartagena Colombia. 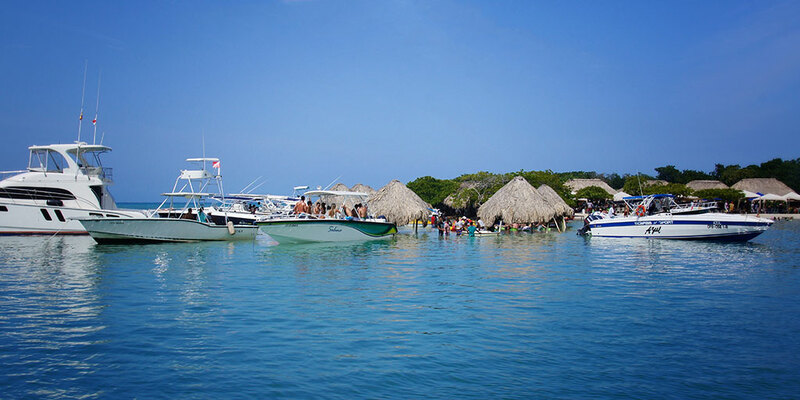 Boating excursions in Cartagena come in all shapes and sizes. 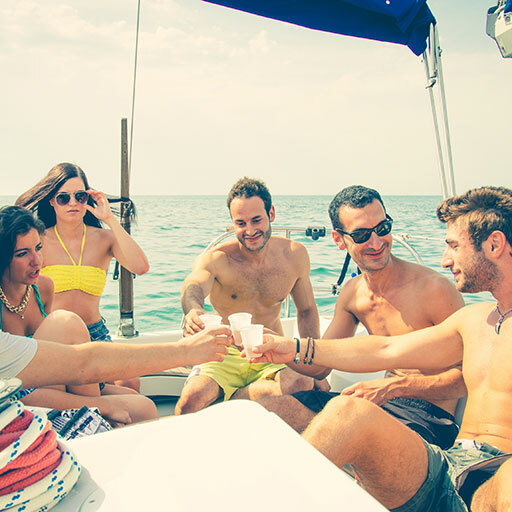 If you prefer a laid-back fishing experience or a wild party on the water, anything is within reach when you stay with us. A Boat for Everyone Under the Sun! For some a boat is a quick way to get from Point A to Point B. For others, simply setting foot on the deck is vacation perfection. 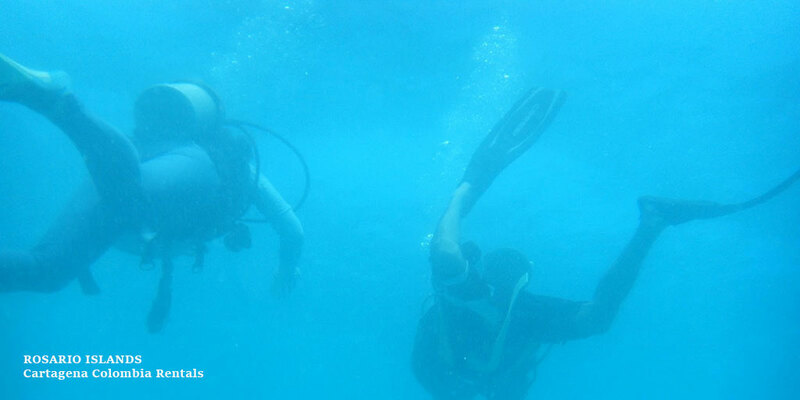 Some people prefer exclusive private swimming/snorkeling excursions away from the crowds. Others like to be in the middle of all the action. We can arrange for whatever adventure your heart desires. 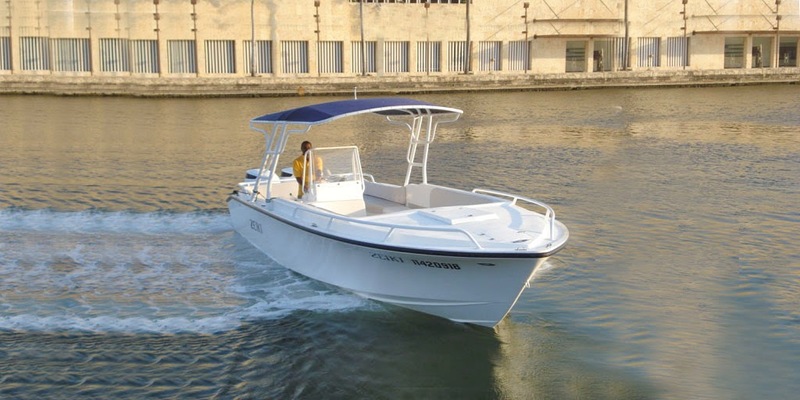 In fact, our wide array of available watercraft gives you the options you need without those you don’t. 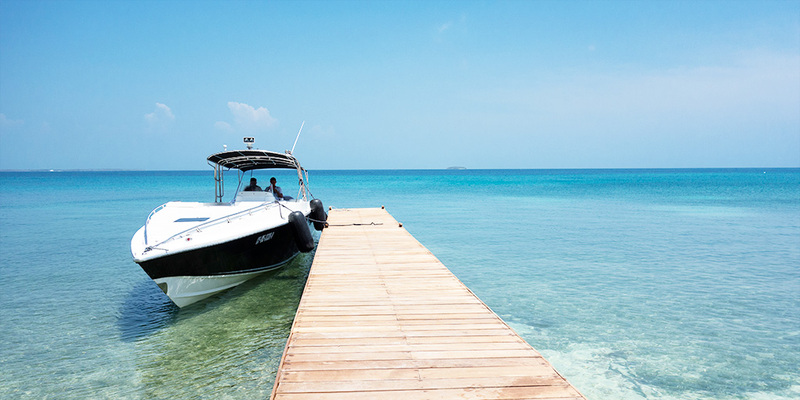 From fast 26-foot outboards capable of zipping you and 7 of your friends to and from Isla Baru in a matter of minutes to luxurious 55-foot motor yachts with an attentive crew and room for up to 18 of friends and family—we have the boat for you. 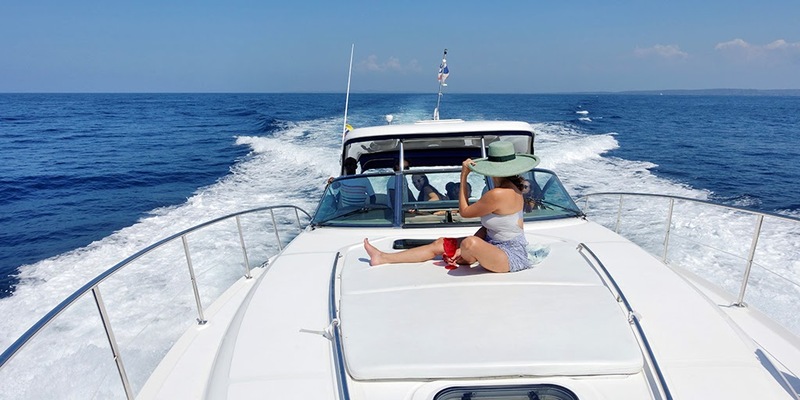 With our exclusive personal relationship with private boat owners and the captains and crews of those boats give us the ability to secure whatever watercraft you need for as long as you need it. 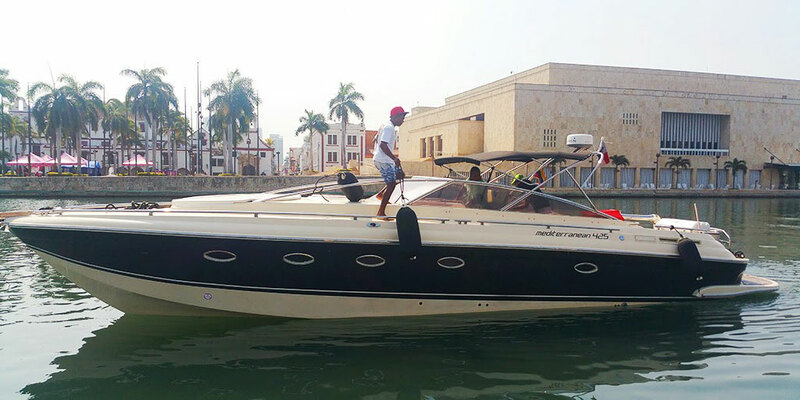 Sure, you can go to the pier and haggle with boat owners and rental agencies to negotiate package deals but boating in Cartagena can be a bit of hassle that way. You never quite know who you’re dealing with, whether they’ve included everything in the price they’ve quoted, or if they’re going to lump you and your friends in with another tour group. 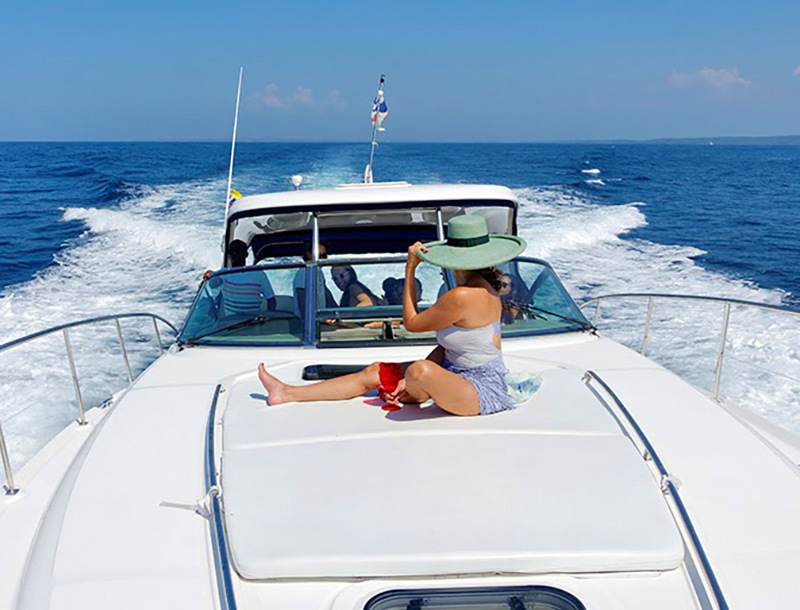 You get guaranteed pricing, expert crews, and exclusive access to your boat so you can simply enjoy the sea, the sun, and the fun. 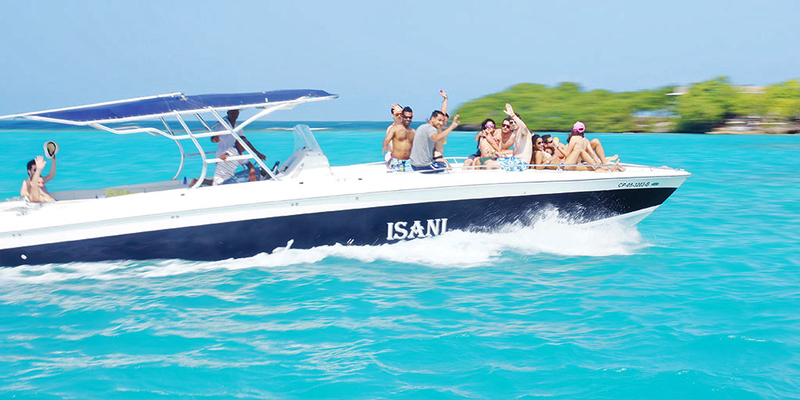 Whether you want to book a day trip to the Rosario Islands, transportation to and from Playa Blanca, or rent a yacht for a one-of-a-kind on-the-water party late into the night we can help. 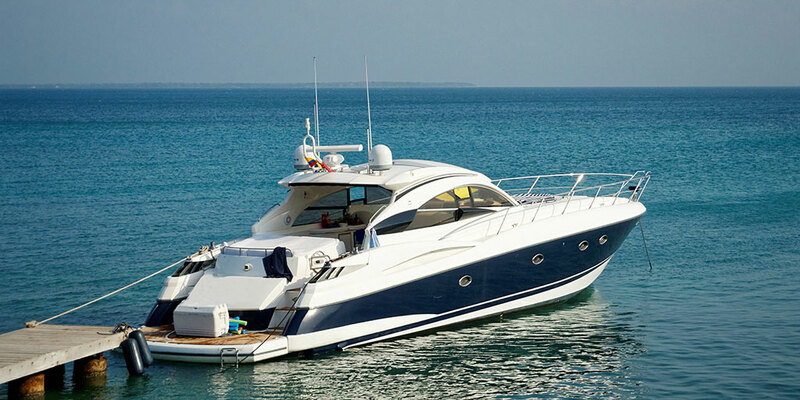 We can easily arrange for private boat rentals and transportation for you and all your friends.